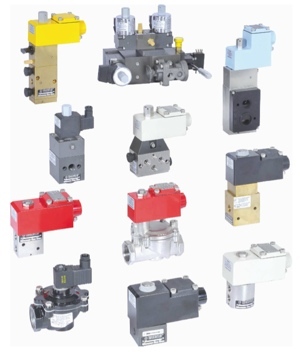 ROTEX offers a range of Solenoid Valves and Air Operated Valves used for handling almost any fluid with various of temperature, pressure or vacuum for use in Control and Automation applications. Rotex is a leading manufacturer of solenoid valves and air operated valves with a customer base spanning the globe. Industries served include Oil and Gas, Off Shore, Paper, Petrochemical, Chemical, Pharmaceutical, Water Treatment, Food Processing and Nuclear Power. Rotex’s history of innovation and continuous improvement is a testament to our vision. With our customers needs always in the forefront, we are continually improving and expanding our product lines. From the concept stage, to design, to manufacturing in our state of the art production facilities, and in the final stages of inspection and testing, our goal of exceeding our customers expectations will guarantee you get top quality products you can rely on.